Tomoyo Umemura was born in Okayama/Japan in 1988, she started her piano studying at the age of four with Prof. Kimihiko Kitajima and Prof. Claudio Soares. In 2007 she entered Tokyo University of the Arts, studying with Prof. Kei Itoh and Prof. Gabriel Tacchino. Moreover she studied in master’s course at Tokyo university of the Arts. In 2013, she received master’s degree with the highest score and was awarded many honorary prizes when she graduated there. Since 2013, she has been studying at Berlin University of the Arts with Prof. Klaus Hellwig. 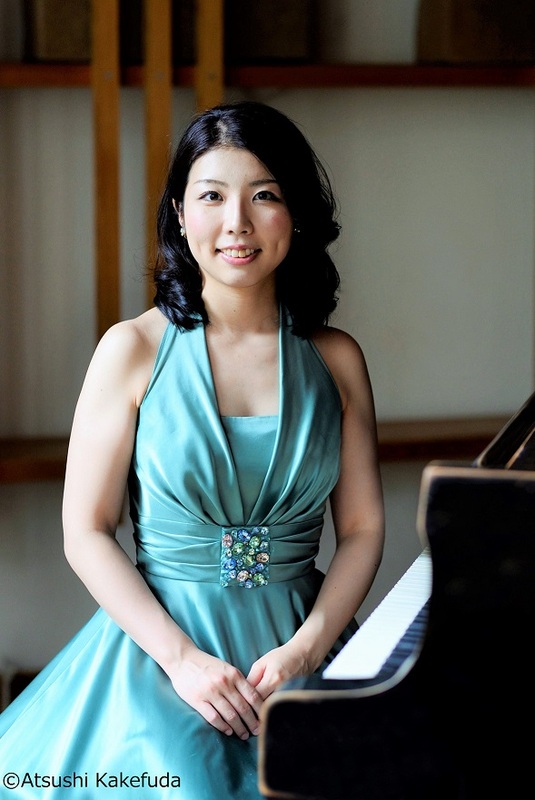 She is a recipient of a scholarship in Agency for Cultural Affairs in Japan and Rohm Music Foundation in Japan. ・the Finalist of the 78th Japan Music competition, the most traditional competition in Japan (2009). ・Second prize (not awarded first prize) of the 17th Robert-Schumann competition in Zwickau (2016) and so on. She received a lot of solo recitals and Music festivals throughout Japan, Germany, Poland, USA, Austria. Also she appeared as a soloist of professional orchestras, including Tokyo Philharmonic Orchestra, Tokyo Symphony Orchestra, Tokyo City Philharmonic Orchestra, Geidai Philharmonic Orchestra, Okayama Philharmonic Orchestra, Osaka Chamber Orchestra and Philharmonisches Orchester des Theathers Plauen-Zwickau.